A light, yet hearty comfort food soup to make any time of the year. 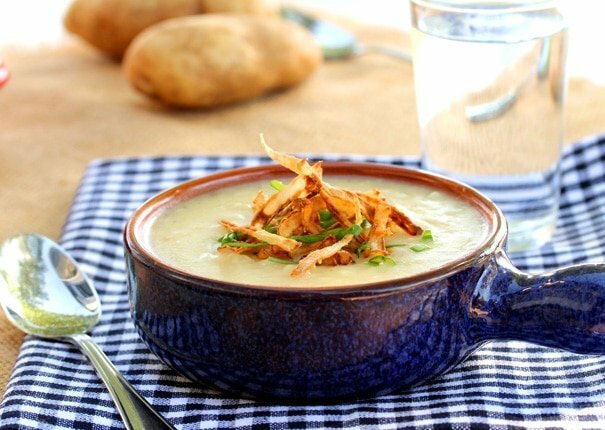 Potato soup is easy to make and tastes so good. It’s fairly light and hearty at the same time. 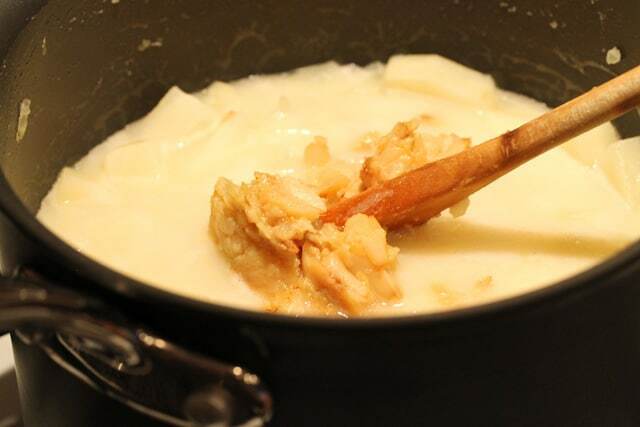 This soup is made with roasted garlic, onion, butter and russet potatoes. 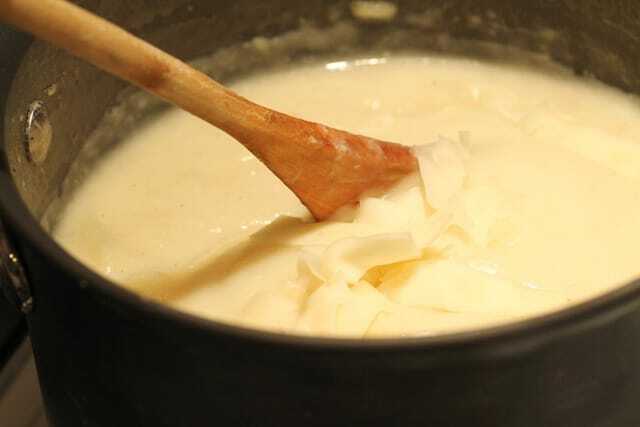 Just before serving, Swiss cheese (grated or chopped) is added to the soup. The combination of flavors tastes really good together and reminds me of comfort food. 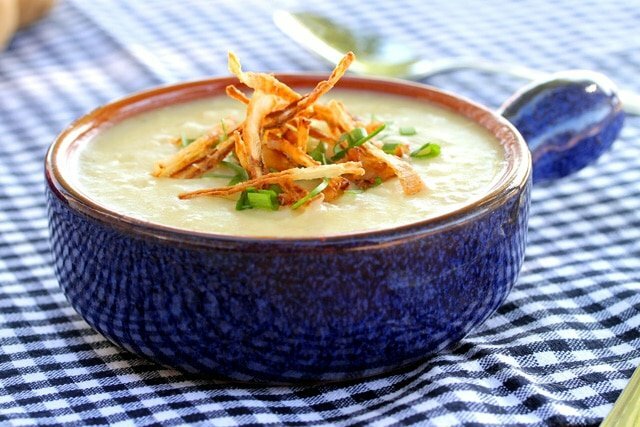 If you’re a fan of garlic mashed potatoes, you’ll love this Roasted Garlic Potato Soup. 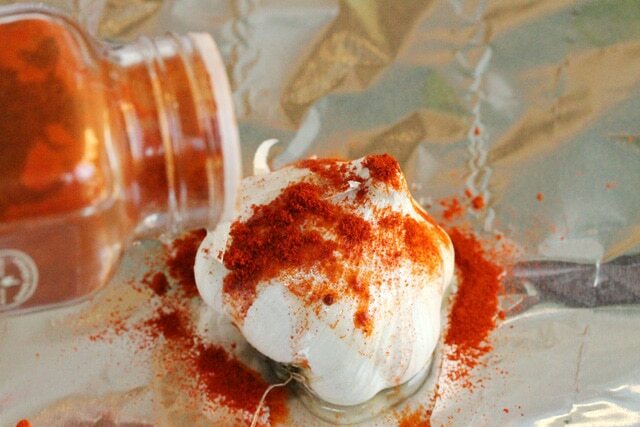 The garlic is roasted in smoked paprika which gives it hint of smoky flavor. 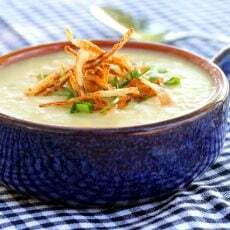 And the soup is topped with crispy onions and chopped green onion which adds a flavorful crunch to the mix. 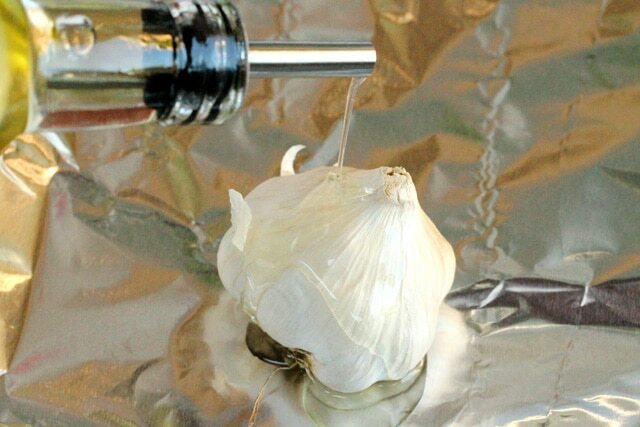 On a piece of foil (about the size of a dinner plate), lay a bulb of garlic. 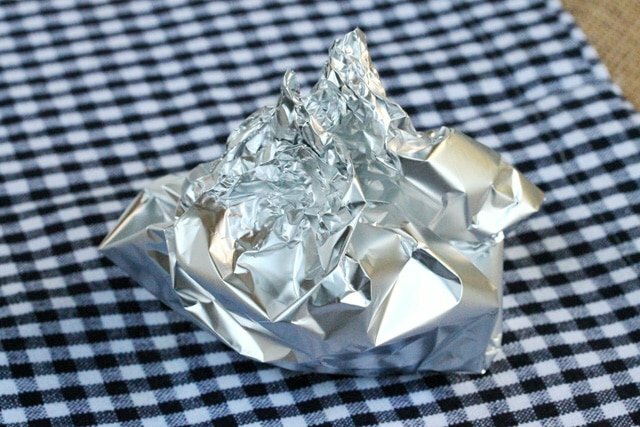 On a small baking sheet, place the foil tent and roast in the oven for 25 minutes. Let cool. 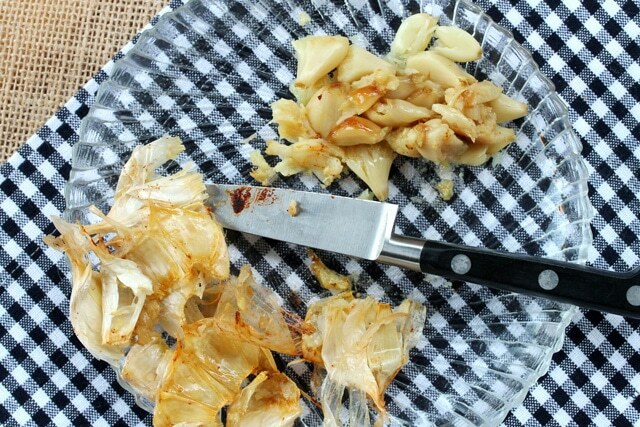 Once cooled, with the flat part of a small spoon, press down on the end of each clove to squeeze out the roasted garlic. Set aside. This can be made while the potatoes are simmering (in the directions below). 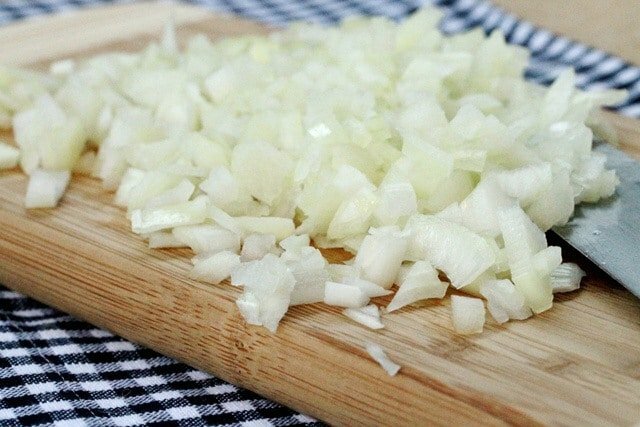 Slice the onion into 2-inch long strips that are about 1/2-inch wide. Coat the onion with flour. 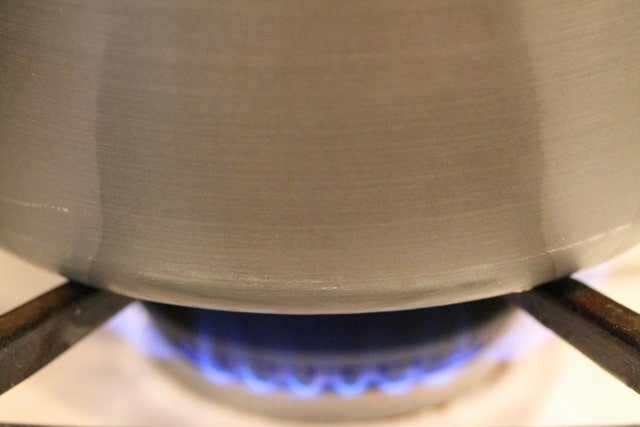 Heat a small pot on low heat, and add canola oil. To the pan, add the onions and gently stir. As soon as they turn a golden color, transfer the onions from the pan onto a paper towel-lined plate to drain off any excess oil. Set aside. 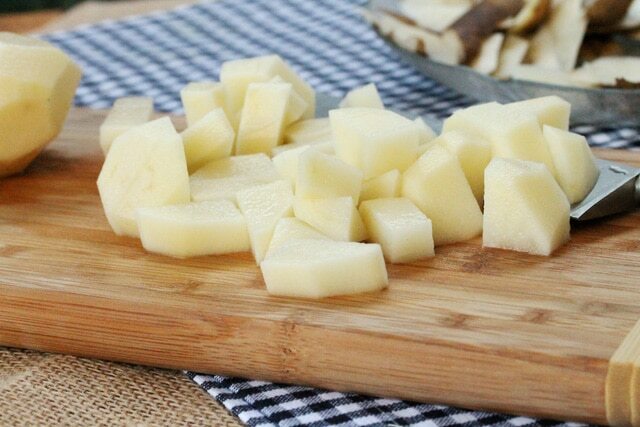 and cut the potatoes into medium size pieces. 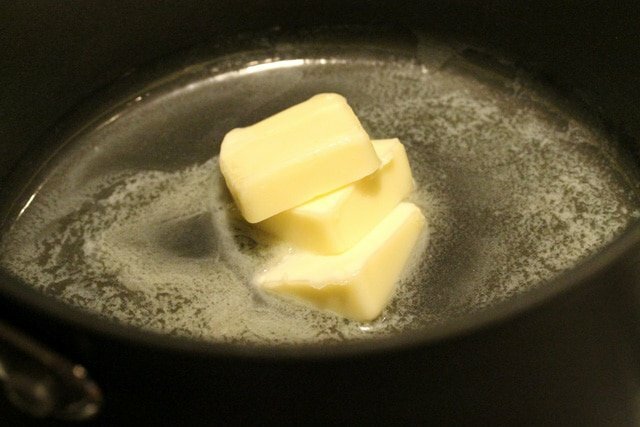 When the butter is melted, add the onions and stir. Then add the potatoes and stir. Next add the broth and stir. To the pan, add all pieces of the roasted garlic. Then add the salt and pepper. Next add the milk and stir. Put a lid on the pan, turn the heat down to low and simmer until the potatoes are fork tender (about 10 to 15 minutes). Turn the heat to the pan off. 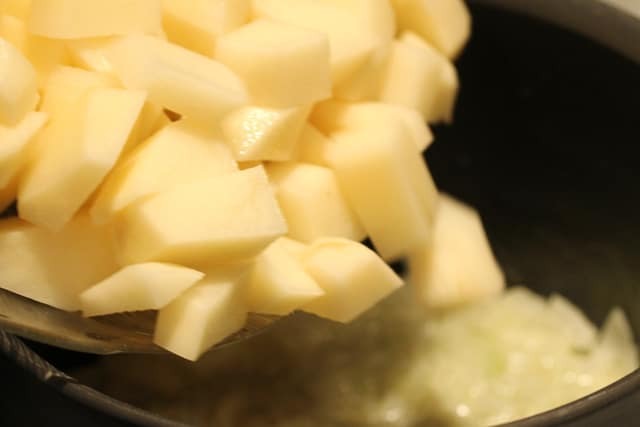 Mash and mix the potatoes with a whisk or immersion blender leaving some chunks. If the soup is too thick add a bit more broth. Serve warm topped with chopped green onion. Garnish with the crispy onion. On top of the garlic, drizzle olive oil and sprinkle smoked paprika. 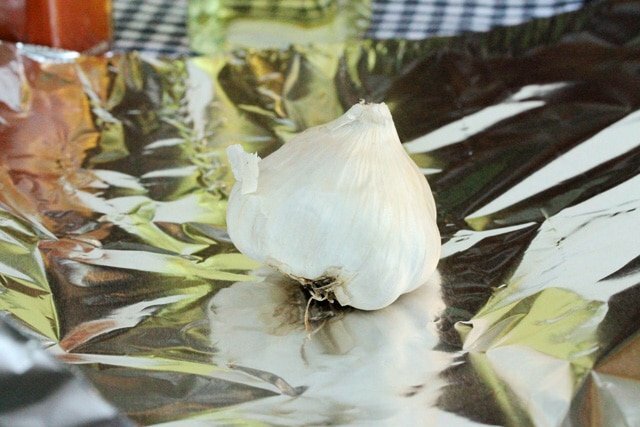 Make a tent over the garlic and tightly wrap the edges of the foil. Heat a large pan on medium heat and add butter. 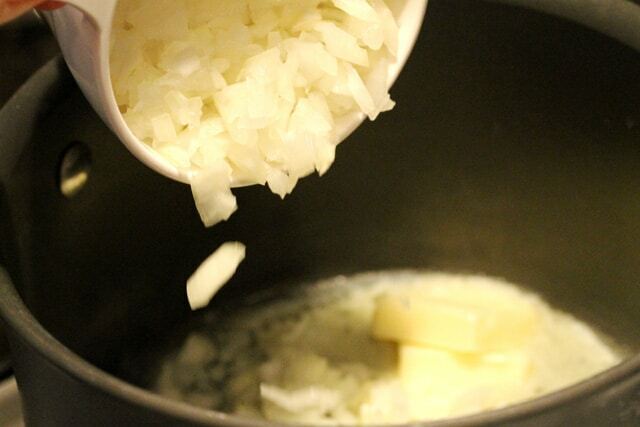 When the butter is melted, add the onions and stir. 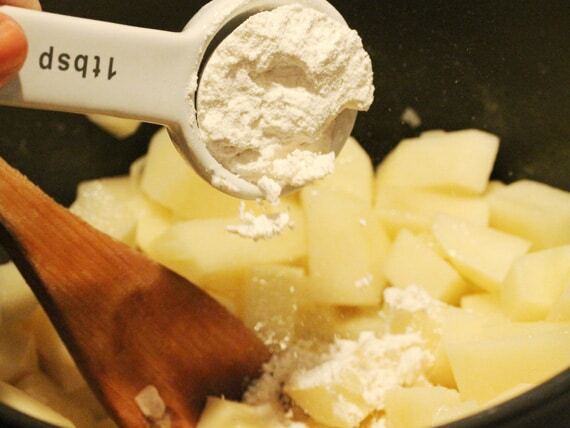 To the pan, add the potatoes and flour. Stir. Next, add the broth and stir. 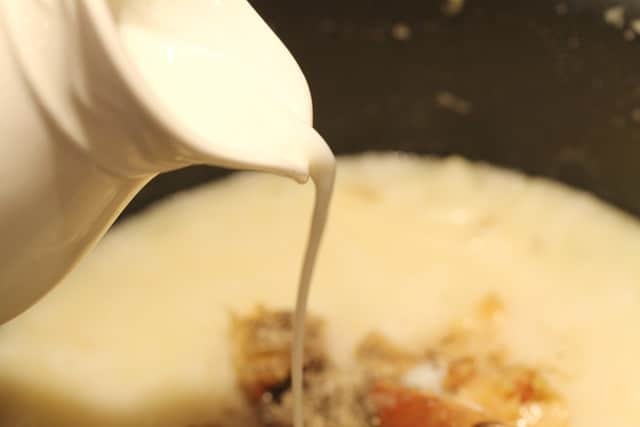 To the pan, add the pieces of roasted garlic, salt, pepper, milk and stir. 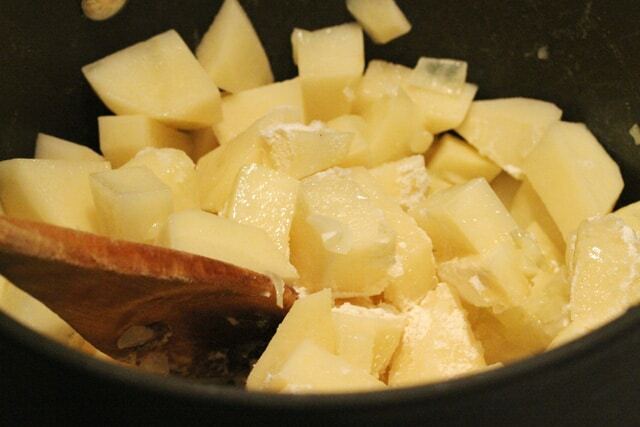 Put a lid on the pan, turn the heat to low and simmer for until the potatoes are fork tender (about 10 to 15 minutes). 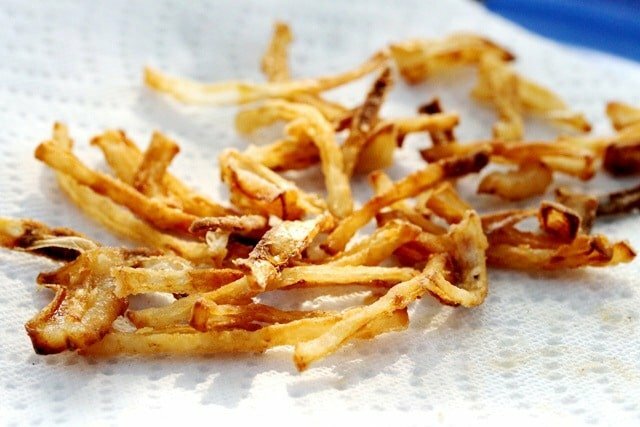 While the potatoes are simmering, make the crispy onion topping (optional). Turn the heat off to pan off. 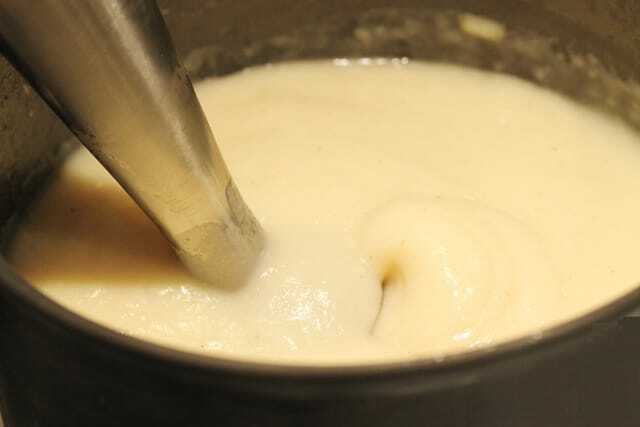 Mash and mix the potatoes with a whisk or immersion blender leaving some chunks. If the soup is too thick add a bit more broth. Stir in the cheese. Serve warm. Garnish with chopped green onion. Top with crispy onion (optional). Coat the onion with flour. Heat a small skillet on low heat and add canola oil. To the pan, add the pieces of flour coated onion. Gently stir. As soon as they turn a golden color, transfer the onion from the pan onto a paper towel-lined plate to drain off any excess oil. Oh my! 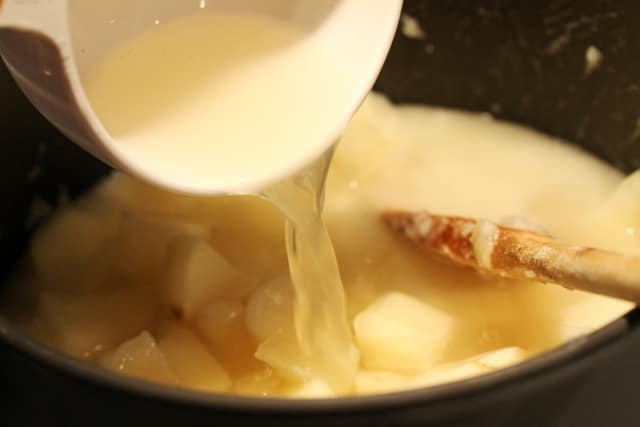 This roasted garlic potato soup was delicious – and so easy to make! Will have to try this for my family. Thanks so much! Definitely, your roasted garlic potato soup is awesomeness! This is a great recipe, Nancy, as you know I made it a short while ago and it was lovely, in fact, have made it again since. Thanks for sharing! Hi Bella, thank you so much for your kind words and I’m so glad you liked it. Thank you for letting me know and also for stopping by CCC! I am obsessed with healthy food! Definitely I will prep roasted garlic potato soup on the weekend for my family. Thx for sharing! Hi Jill, thank you for stopping by! interestin info I have subscribed can’t wait for some updates!! What I like baked potato recipe is fast in the microwave might tasty! Hi There, thank you very much for subscribing to CCC! I really appreciate it. Have a great day! Amazing recipe! I have been looking for a creamy potato soup with roasted garlic for a while. I really like yours and I will try it this weekend. And I have to say, the pictures are very helpful (I like that in a food blog). Hi There, thank you for stopping by and so glad you like the pictures. I like pictures too in recipes, much easier to envision how to do things. Have a nice weekend and I hope you like the potato soup! I made some slight modifications (made about 1.8l of soup with +/ 1.2kg of potatoes, and used 3 bulbs of garlic instead of one because more is better when it comes to garlic) and OH GOD IT IS SO DELICIOUS. This makes winter so much more bearable. Thanks for posting this! Hi Eva, so glad you liked it! And your changes to the recipe sound so good. You’re right, more garlic is definitely better. Thank you for letting me know. Happy Holidays to you! 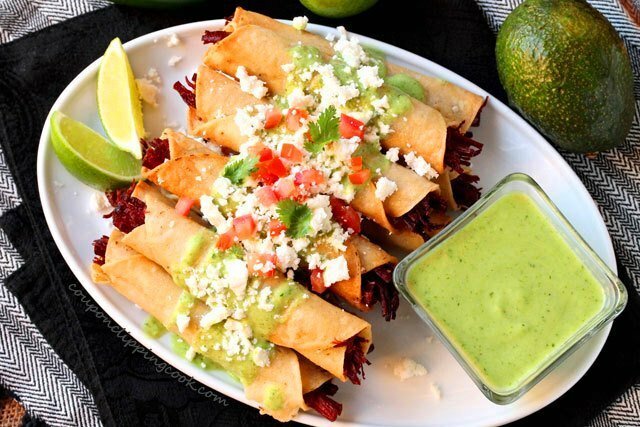 Congratulations on being featured on DailyBuzz Food Top 9 for this recipe. I was featured too with my Roasted Garlic Spread. I soo want to try this soup! Hi Melissa, thank you very much. And congratulations to you too! I love love love potato soup and the addition of roasted garlic is a genius idea! Hi Peggy, thank you very much! 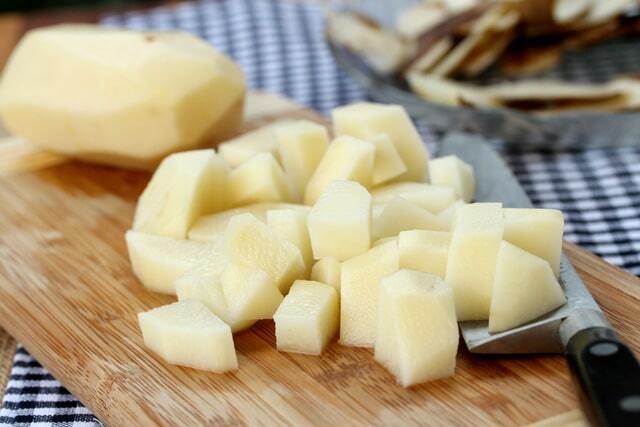 Oh no you didn’t…you went and put crispy onions on top of all that glorious roasted garlic and yummy potatoes? How devine! Hi Kari, yes, you caught me! I just couldn’t help it. Have a great day! This looks so delicious! It is definitely going in my Must Try Recipe folder on Pinterest, and I’ll have to get garlic to try it this week. Hi Laurel, so glad you like this and thank you for stopping by! Ooh! 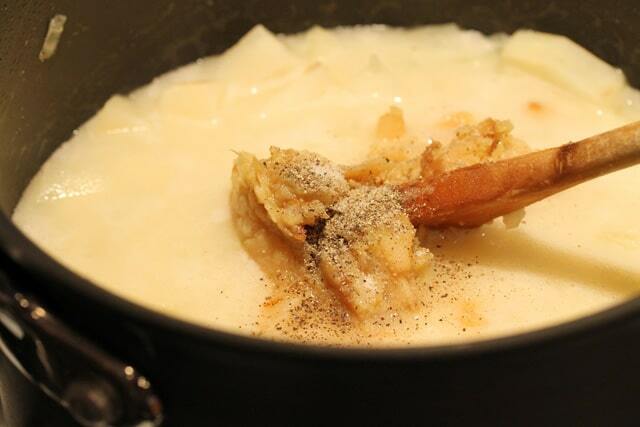 I love it all the scent of roasted garlic, the thick and creamy soup and most of all the crispy onion topping! Yum!